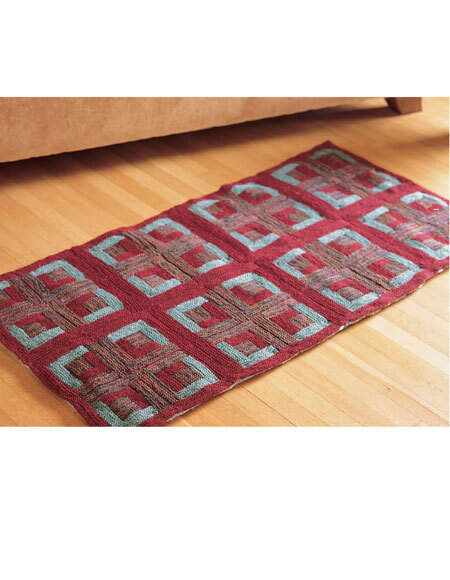 Sizes Included: 32" x 62"
This classic Log Cabin Quilted Rug creates the look of a sewn quilt by stitching together smaller squares of knitted fabric. Using solid and variegated colors together for this project creates stunning results within the traditional framework of a quilt. 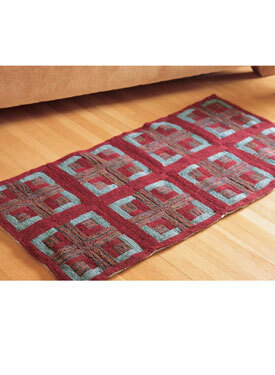 The rug is lined with quilt batting which provides extra cushioning while prolonging the life of the rug. 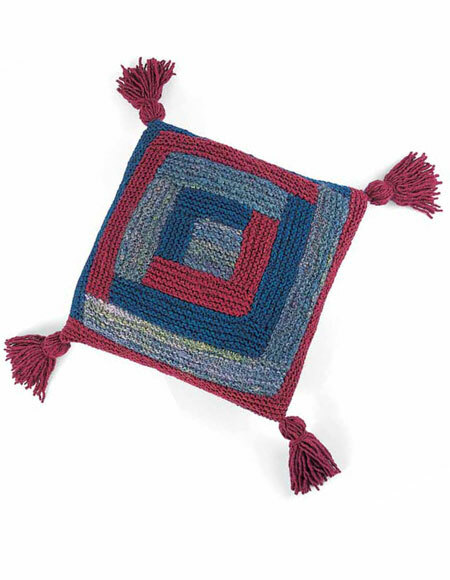 This pattern also includes instructions for assembling and lining your rug, as well as illustrated instructions on how to whipstitch your seams and how to pick up stitches. About the Author: Donna Druchunas escaped a corporate cubicle to honor her passions for knitting, world travel, research, and writing. 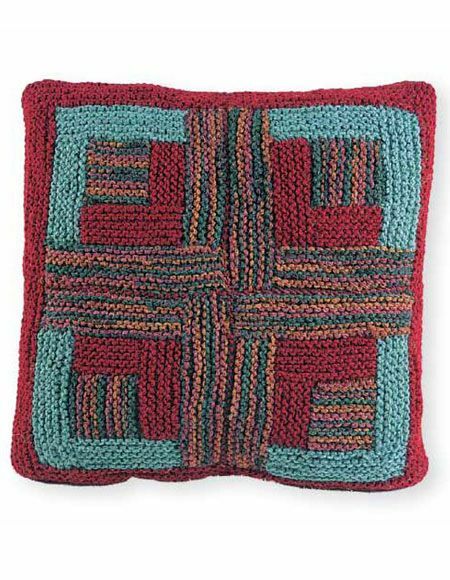 She is the author of numerous knitting books, including Kitty Knits, Skein for Skein, and Successful Lace Knitting, all published by Martingale & Company®. 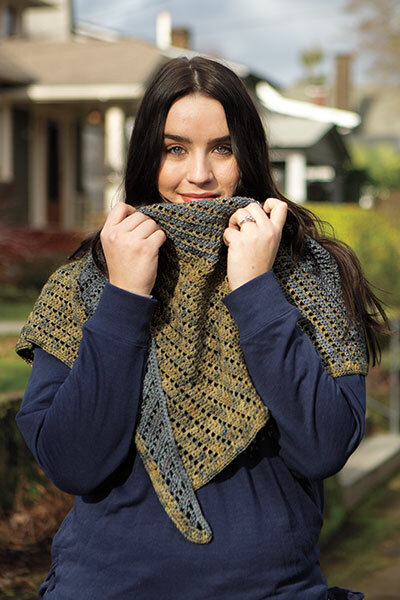 Her designs have appeared in Family Circle Easy Knitting, Knitters, and Interweave Knits magazines. She lives at the foot of the Rocky Mountains in Colorado with her husband, mother, and three cats. 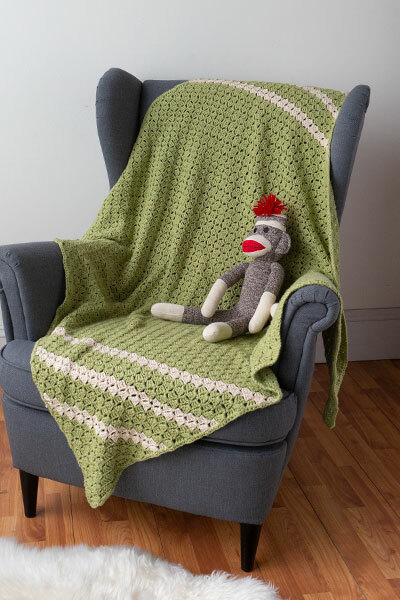 Visit her website at sheeptoshawl.com.